St William of York Catholic Primary School in Thornton received a £200 donation to enhance their breakfast club with brand new equipment, following a national competition win. 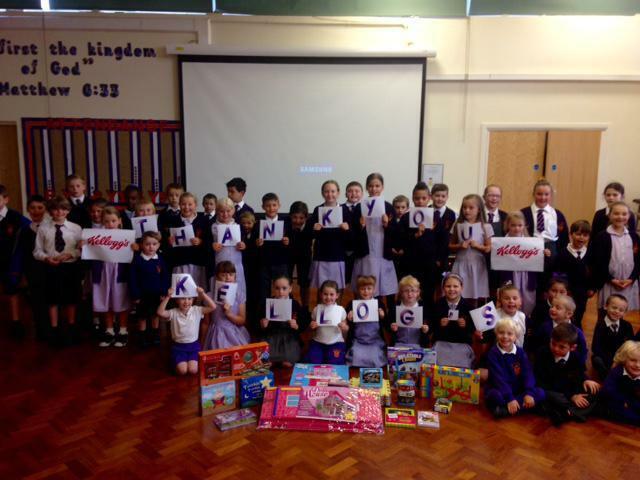 St William of York Catholic Primary School, which is a member of the Kellogg’s Breakfast Club network, was one of fifty schools from across the UK who was selected to receive the breakfast boost. The school entered a competition which was featured in the cereal company’s Breakfast Club e-newsletter, aimed at showcasing best practice and providing practical resources to ensure the sustainability of the club. A national audit of school breakfast clubs across the UK examined the challenges schools face in sustaining their clubs. The findings revealed that 82 per cent* of schools welcomed much needed equipment as part of additional support for their clubs.